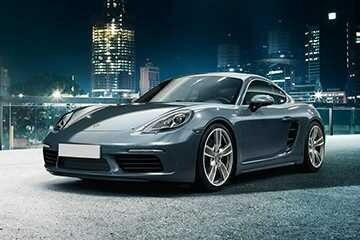 Porsche’s Cayman range gets a new big brother, the GT4, to its line-up. The new Cayman GT4 shares its components with the focussed 911 GT3, resulting in the same lap time across Germany’s ‘Green Hell’ of 7 minutes 40 seconds as a 2011 911 GT3. The engine under the umm... boot, is a 3.8 litre flat-six borrowed from a 911 Carrera S, developing 385bhp of maximum power. Equipped with a 6-speed manual gearbox with dynamic mounts, the Cayman GT4 can touch 96kmph from a standstill in 4.2 seconds. Top speed on the track is a claimed 292.8kmph. The body of the Cayman GT4 highlights 3 pronounced inlet openings at the front and a large fixed rear wing are part of an aerodynamic package which is systematically designed for down force. 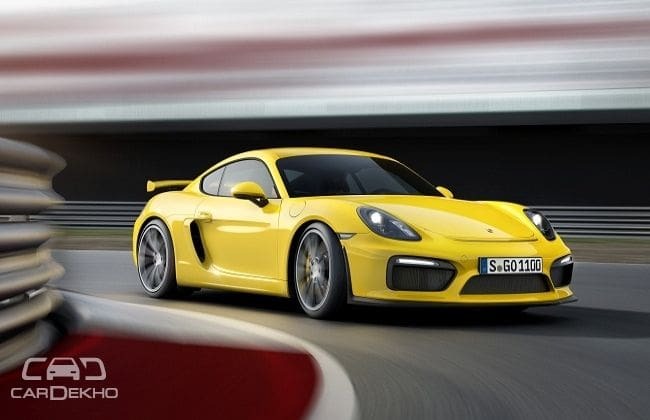 If you politely ask Porsche, and pay a lot of money, the performance capabilities of Cayman GT4 can be pushed even further. These available options include the Porsche Ceramic Composite Brake (PCCB) system, full bucket seats made of carbon fibre composite, and a custom Sport Chrono Package featuring a Track Precision app. The chassis features a 30mm lower ride height and a massive brake system are again shared with the 911 GT3. The insides of the Cayman GT4 aim to enhance the experience of unfiltered driving enjoyment for both driver and passenger. Standard sport seats, which are upholstered in a combination of leather and Alcantara, offer excellent lateral support. The new Cayman GT4 sport steering wheel guarantees ideal control and direct steering feedback due to its compact dimensions.